Fifty years ago, Rachel Carson asked the world to consider a simple question: imagine springtime without birdsong. Silent Spring addressed an unlikely subject for what was to become a best-selling book—the effect of DDT and other pesticides that persist in body tissue, becoming more and more concentrated as they move up the food chain (a process known as biomagnification). Yet nearly everyone could easily understand that their own quality of life would be diminished should they step outside one sunny May morning to find the dawn chorus had been replaced with a deafening stillness. Thanks to Carson’s courageous stand—and the subsequent public outcry—songbirds and other avian species dodged a bullet. * Now there’s another set of wild voices in the spring choir who could use a hand—the amphibians. 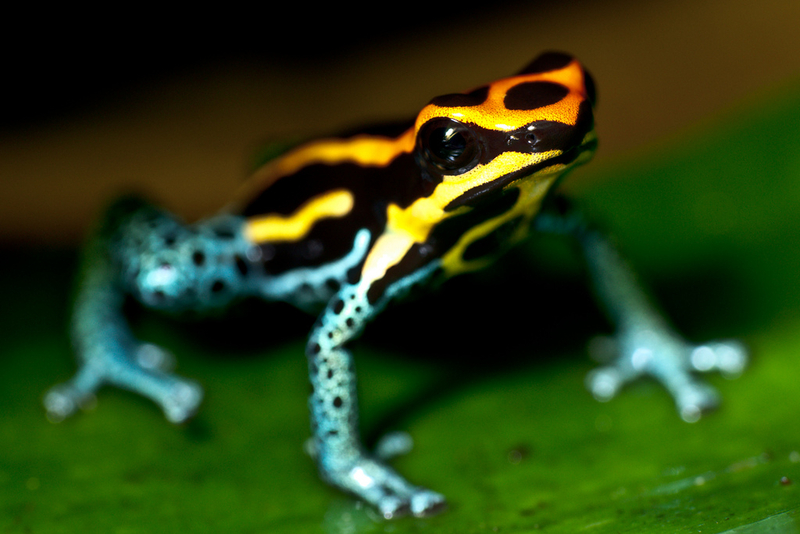 There are now over 1,800 threatened amphibian species. At least 168 species have gone extinct in the last two decades due to factors such as habitat loss, water pollution, disease, climate change, and invasive species. Additionally, many areas in the U.S. have recently experienced severe drought, and England is currently experiencing its worst drought in decades. 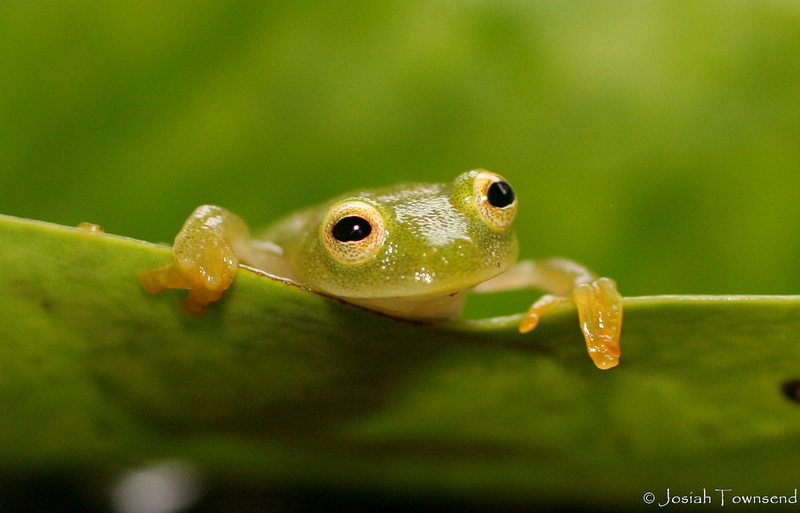 Many frog species depend on ephemeral (temporary) water sources for breeding since they don’t support fish that would eat the eggs and tadpoles. If the ephemeral pools dry up before the young amphibians have time to metamorphose, or if there isn’t enough rain to create pools in the first place, it can result in a missed generation… and a fragile future for frogs. Kermit the Frog spoke from experience—it isn’t easy being green… or yellow, or red, or black, or blue. Frogs are essential to the health of wetland, riparian, and coastal ecosystems. Tadpoles feed on algae, preventing blooms that can reduce oxygen levels. Frogs consume millions of insects each year, including mosquitoes and ticks carrying diseases that threaten the health of humans, their companion animals, and livestock. A wide variety of wild mammals (raccoons, opossums), birds (herons, hawks, geese), and reptiles (snakes) rely on frogs as part of their diet. Don’t clean the water. In fact, add floating plants such as lily pads or leaves to provide cover. Refill slowly and carefully if water levels get low. Don’t put fish in your pond, as they will munch on your tadpoles and frogs. Place your pond in a shady spot, preferably surrounded with native plants to attract a tasty bug feast of ladybugs, bumblebees, and other pollinators to also help beautify your yard. You can stack some rocks or turn over a half of a flowerpot beside the rim of the pond to give your frogs a place to sit and eat their lunch as it flies or crawls by. Don’t use pesticides or weed killers. Amphibians absorb water—and any chemicals in it—through their skin. 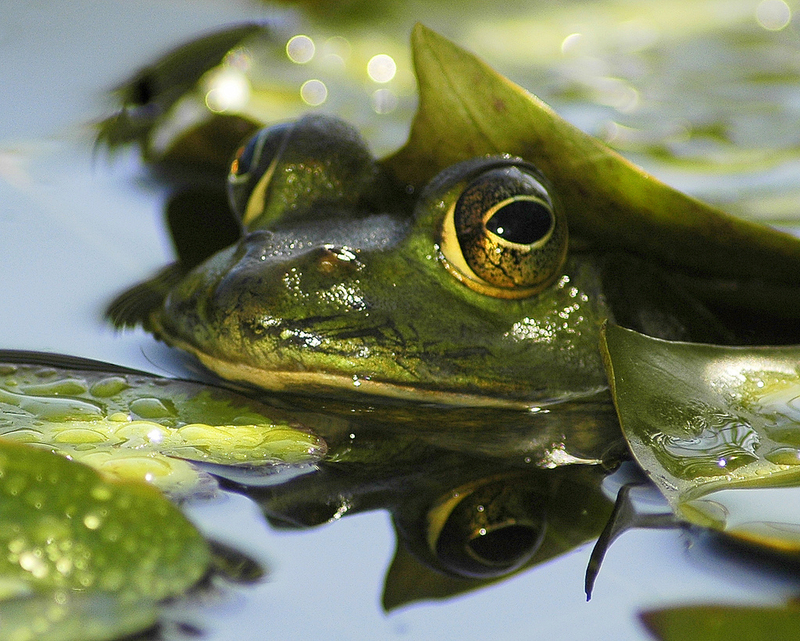 Pesticides and weed killers can run off from land into water and can be lethal to amphibians. Certain weed killers also can alter hormones, changing male frogs into females and reducing the potential of frogs to perpetuate thriving populations. 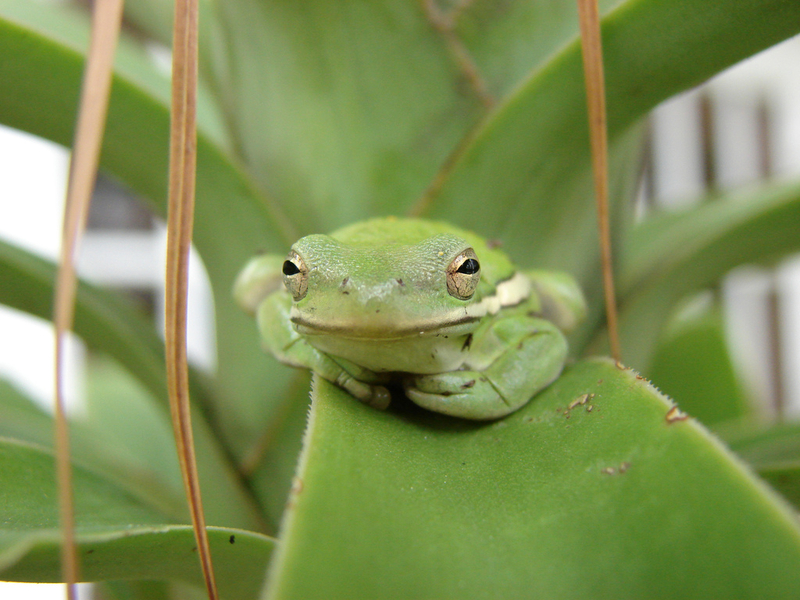 Don’t be tempted to relocate frogs from other areas or stock your pond from pet stores. 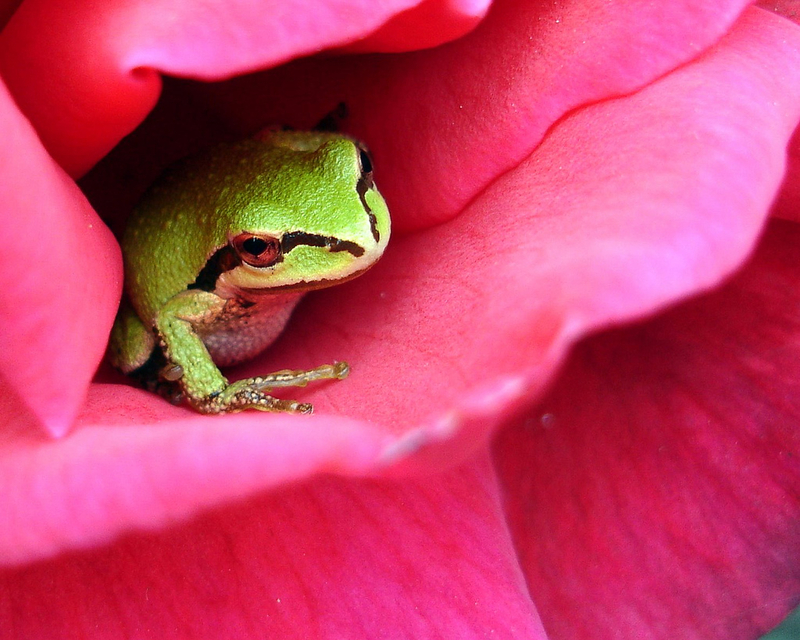 You may introduce diseases or invasive species and domestically raised frogs will not necessarily adapt to wild habitats. If you build it, frogs will come. Become a frog watcher. You will appreciate these wonderful animals more if you can see them in action, and you can help their conservation in the process. The National Wildlife Federation’s Wildlife Watcher program allows citizen scientists to contribute to a growing database of North American wildlife, learn about the animals living in their region, and build a printable checklist of sightings. * Although the focus of this post is frogs, wild birds still face many challenges and threats to their long-term survival. You can check out one such hazard here. Others will be addressed in upcoming NDN posts. Life is better when you have Next-Door Nature—click the “subscribe” link in the upper right-hand corner of this page and receive notifications of new posts! © 2012 Next-Door Nature—no reprints without written permission from the author (I’d love for you to share my work; all you have to do is ask). Thanks to these photographers for making their work available through a Creative Commons license: [from top to bottom] Jackie Dougan (Pacific tree frog in rose); sarowen (green treefrog); Sascha Gebhardt (poison dart frog); ucumari (bullfrog); Josiah Townsend (glass frog).